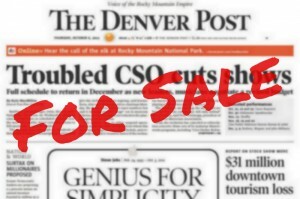 A message to Denver Post owner Alden Global Capital from The Denver Newspaper Guild: Sell your Digital First Media newspapers, including The Post, now! 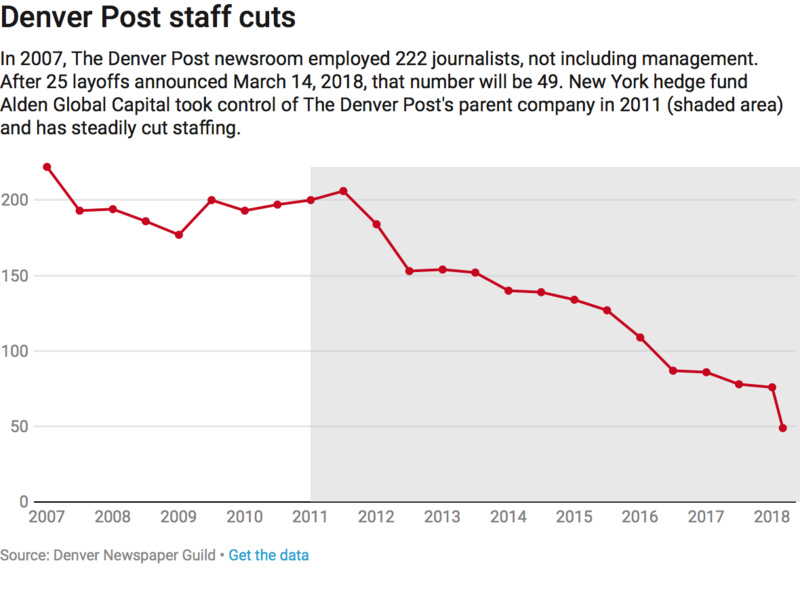 The Denver Post had its heart ripped out Wednesday when the company announced layoffs of 30 additional newsroom employees – 25 Guild-covered journalists and five newsroom managers. This latest newsroom cut leaves The Post with 49 working journalists now compared with 200 in place when Alden took over the newspaper seven years ago. The gutting of the Post newsroom is an assault on the community. Alden Global’s layoffs are driven by greed — its desperate attempt to strip value from its newspapers and recoup more than $100 million in losses from its non-newspaper investments. Alden’s gambles in unrelated business ventures have drained Digital First newspapers of the resources they need to survive. If Alden continues its current course, it will destroy newspapers in Denver and many other cities across the country. This plunder of papers that have served their communities for more than 100 years has to stop. In other cities, including Minneapolis, Salt Lake City, Boston and Washington, D.C., civic-minded individuals and business groups have stepped up to rescue newspapers from destruction. • Alden Global Capital has for years treated one of the biggest media companies in the country like a big ATM. Someday, it will run out of money. In Minneapolis, local businessman Glen Taylor bought the Star Tribune from absentee owners in 2014 and has since stabilized the Star Tribune’s newsroom employment and paid circulation in a period that saw a plunge in both numbers at The Denver Post. When Taylor bought the Star Tribune, the newspaper had a Guild-represented newsroom staff of 242. In December 2017, the number held firm at 233. Under Alden’s leadership, Denver Post circulation has dramatically decreased. In 2012, The Post reported total daily circulation of 401,120 daily and 595,363 Sunday. By early last year, circulation of The Post had dropped to 170,064 daily and 279,215 Sunday. Meanwhile, in Minneapolis, under Taylor’s leadership, Sunday circulation has actually grown, from 518,745 in 2012 to 551,246 last year. Alden founders Heath Freeman and Randall Smith are dismantling The Post and other Digital First properties without conscience and with a disturbing lack of ethics. Now is the time for new ownership at The Post and all other Digital First newspapers. The Denver Newspaper Guild implores Alden to sell its free-falling properties to local owners while there remains a chance to invest in quality journalism. Sell now before it’s too late.